Attorney Mark Geragos is lashing out at CNN for firing him on Monday after the Wall Street Journal and other news outlets identified him as the unnamed co-conspirator in the case that led to the arrest of Michael Avenatti on criminal charges of extortion and conspiracy. Geragos, a camera-friendly attorney to the stars, found himself on the other side of the law after his name surfaced in connection with a federal criminal complaint against Avenatti, the lawyer who rose to fame after briefly representing adult-film star Stormy Daniels in her suit against President Donald Trump. Avenatti was arrested in New York on Monday after federal prosecutors accused him of trying to extort $20 million from athletic-wear giant Nike. Avenatti has denied any wrongdoing. Several medial outlets later identified Geragos as an unnamed co-conspirator in the case. CNN quickly fired him as a legal pundit, scrubbing his name from its site. A spokesperson for the CNN told TheWrap Monday that Geragos “is no longer a CNN contributor” but did not say why. Geragos, who co-hosts a podcast called “Reasonable Doubt” along with Carolla, said he “can’t get into” the details of the legal case, but noted that he felt “confident” about it. 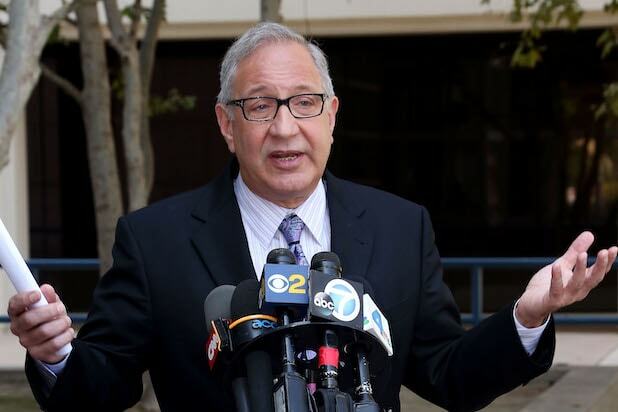 A prominent attorney to troubled Hollywood stars, Geragos currently represents former “Empire” star Jussie Smollett, who was accused of paying two men to attack him in what police say was a scheme to raise his profile and salary on the Fox series. On Tuesday, prosecutors abruptly dropped all charges against Smollett.